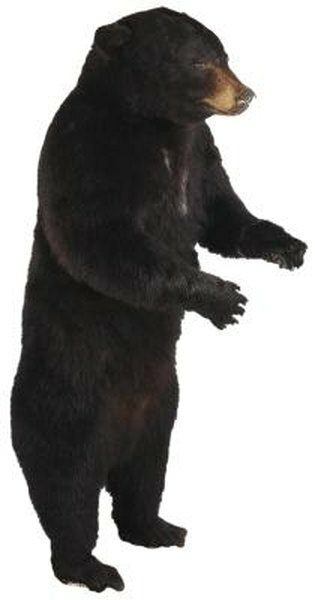 Feeling bearish? Short a stock. 1. How Long Do You Need to Own Stock to Get a Dividend Payout? If you're feeling bearish about a stock, you can bet on your sentiment by shorting the shares. In a short sale, you borrow shares from your broker and sell them. You must later return the shares to the lending broker, so you're hoping that you'll be able to purchase these replacement shares for less than the earlier sale brought in. In a short sale, you must make the lending broker whole for any dividends paid on the stock. Dividends are cash or additional stock payments to stockholders. When you borrow shares and short them, the lending broker is still entitled to any dividends that the issuer pays on the shares that were lent by the broker. You therefore must make payments in lieu of dividends to the brokerage to reimburse it for the dividends that it would have received. These payments reduce the potential profit you might realize from the short sale, and thus you don't want dividends involved. Some nimble trading might allow you to avoid a payment-in-lieu. Because dividends tend to support a stock’s price, it is natural that you would prefer to short a stock that pays no dividends. The world is full of stocks that pay no dividends -- you might find one to short. The rub is that the day after you short the shares, the issuer’s board of directors might announce a new, recurring dividend. Income-oriented investors would probably flock to that stock and drive up prices. Higher prices and a new dividend are not the ingredients for a successful short sale. When the board announces an upcoming dividend payment, it specifies an ex-dividend date on which new stock buyers will not be eligible for the dividend. If you cover your short sale by buying back and returning the shares before the ex-dividend date, you will not need to manufacture a dividend for the broker. However, you will create a tax event -- when you cover a short sale, you lock in a capital gain or loss for the current tax year. You can re-establish your short sale on the ex-dividend date if you like, but you will face the same problem every quarter. Share prices drop on the ex-dividend date by the amount of the dividend, which can mean less profit when you reshort the shares. You might earn enough by selling a put on the shorted shares to pay for the payment in lieu of a dividend. A put option gives the buyer the right to sell 100 shares of the underlying stock at a specified price -- the strike price -- on or before an expiration date. If you sell a put you collect a premium, but you might have to purchase the shares at the strike price if share prices fall below the strike; this called an “assignment.” If you select a strike price below the price at which you sold the borrowed shares, you at least will lock in a gain if your put is assigned. Since you are already short the shares, you can use the ones you buy through put assignment to return to your broker. If the stock price fails to fall below the strike price, the put will expire without value. You can keep your short sale in place and, if you like, sell another put. Can You Own a Stock on Margin That Pays a Dividend?